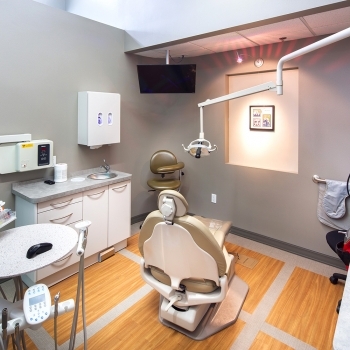 One of Dental Touch’s Signature Services is the use of 3-D Dental Imaging. Regular x-rays are still the industry norm. But 3-D images are so much more help in treating patients that we use them on a regular basis. The latest development in crowns is the growing trend toward one-day crowns. New technology from the CEREC Corporation makes it possible to get a crown replaced in a single appointment. In addition to the first step crown measuring process, a certified dentist a digital image of your tooth, a 3-dimensional image of a crown is created and then the crown can be sculpted from ceramic right in the dentist’s office. One of the biggest reasons people are afraid of going to the dentist relates to pain. Laser dentistry is one of the biggest advances in the dental field when it comes to easing pain. At Dental Touch Associates, we use a water-based laser system that makes your trip to the dentist virtually pain-free. If you’ve ever had chronic severe jaw pain, recurring headaches, migraines or notice that your jaw pops when you move it? If so, you might benefit from neuromuscular dentistry. This specialty places the jaw in its best possible position to relieve pain. This type of pain is part of Temporomandibular Joint Disorder or TMD. It’s a chronic and degenerative disease that can take years to develop.